There have been 89 units sold in this building in the last 12 months. The last unit in this building sold on 4/16/2019. Click here to get the details of all closings in the last 12 months. The Caravelle Resort is a perennial favorite of oceanfront condo owners and visitors. Located along one of the most desirable and popular sections of Myrtle Beach, the Caravelle Resort is oceanfront real estate at its finest… the perfect combination of luxury and value. Featuring a variety of oceanfront and oceanview efficiency and one-bedroom condo units, the Caravelle Resort offers full kitchens with microwaves and coffee makers and well-appointed, luxurious furnishings for discriminating tastes. Amenities include oceanfront pools, whirlpool, lazy river, kiddie lazy river and a children's water park. In addition, here are several lounges, restaurants and pool bars to enjoy. 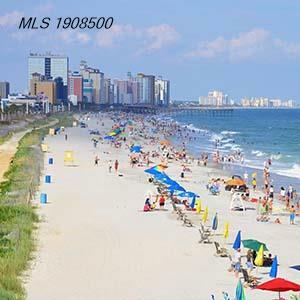 And the Caravelle Resort is located in the much sought-after northern section of Myrtle Beach, convenient to great shopping and dining at Barefoot Landing, Broadway at the Beach and numerous attractions and entertainment venues. Welcome to the official CENTURY 21 Strand Group website for Caravelle Resort condominium sales.